Dr. Klein has been practicing dentistry since 2011. 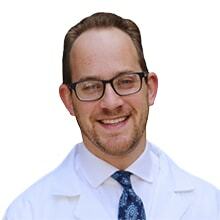 He attended New York University College of Dentistry and completed his pediatric residency at Brookdale University Hospital and Medical Center in Brooklyn, NY. His professional associations are Alpha Omega Dental Fraternity, Los Angeles Dental Society, Southern California Society of Dentistry for Children board member, American Dental Association, California Dental Association, American Academy of Pediatric Dentistry, and he’s an American Board of Pediatric Dentistry candidate. He is happily married and has three kids. In his spare time, he loves playing basketball, skiing, watching and coaching hockey with his sons, and going out with his wife. He is big on family time. Every weekend is devoted to his kids and his wife, doing homework, swimming, board games, puzzles, card games, going to the park, ice skating, rollerblading, bike riding… just about anything they try to do together. 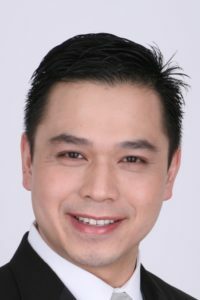 Dr. Richard Duong is a board certified pediatric dentist by the American Board of Pediatric Dentistry with more than 7 years of experience. 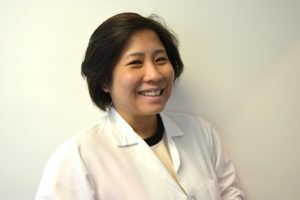 Dr. Duong is well versed and comfortable performing all clinical aspects of pediatric dentistry. He also possesses experience as an Emergency Medical Technician treating medical emergencies both inside and outside of the hospital setting, which has proven to be immensely valuable in preparing him for potential emergencies that may arise, for example, during pediatric sedations. Dr. Duong received his Bachelor of Science degree from UC Irvine in 1998. He obtained his Doctor of Dental Science degree from UCLA School of Dentistry in 2008. A fun fact about Dr. Duong is he worked at Disneyland as “Goofy” during his college years. Dr. Duong is a dedicated and passionate pediatric dentist who loves entertaining children. Therefore, he strives to make dental visits an enjoyable and pleasant experience for both his pediatric patients and their parents. Dr. Duong is committed to providing the best possible patient care and adhering to the highest ethical standards. For those reasons, he endeavors to provide a positive and transparent environment to be able to discuss openly and honestly with parents regarding the best course of action to care for their child. Since starting his career, he has maintained an excellent record with the dental boards of California and Texas without any disciplinary actions against his dental licenses. On his time away from the dental office, Dr. Duong enjoys spending time with his son, watching movies, exercising, and hiking. Dr. Kao obtained her DDS degree from New York University’s College of Dentistry with Honors in Pediatric Dentistry and Special Patient Care. Realizing her passion for treating children and special needs patients, she remained at NYU and its affiliated Bellevue Hospital Center for specialty training in pediatrics. She is board certified by the American Board of Pediatric Dentistry. Growing up in Taiwan and Vancouver, Canada, Dr. Kao had been constantly on the move. After residency, Dr. Kao practiced in Massachusetts for 4 years before settling back in Orange County, where her husband is from. She is glad to call SoCal home. While not at the office, Dr. Kao enjoys spending time with her twins, building LEGO (she just finished a 7500-piece Millennium Falcon), cooking, exploring fun places in southern California and watching sports. She loves the New England Patriots and Vancouver Canucks and is deciding between Dodgers or Angels.